I had the pleasure of interviewing Joanna Lau. Joanna is the Founder & CEO of JEMMA, a disruptive fashion brand that has big plans to revolutionize the women’s handbag industry. 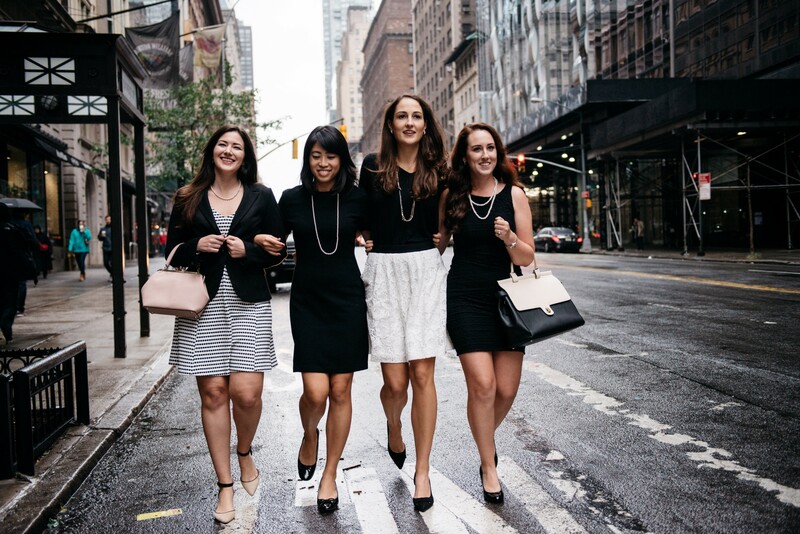 Joanna, a NYC banker turned handbag designer was inspired to bring the concept of the male briefcase to working women in a fashionable, practical way by fusing go-getter functional office needs with designer chic. Since launching in 2016, JEMMA has seen massive growth with the very popular EMMA Work Bag and BIRDIE Gym Bag — with waitlists in the thousands of women who can’t wait to become a #JEMMAGirl. 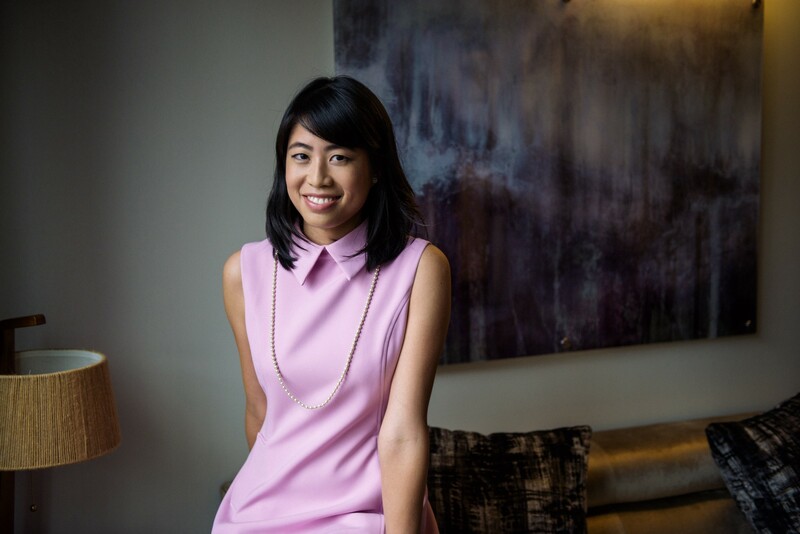 I am originally from Singapore and graduated from NYU Stern with a degree in Finance. My only formal training in fashion was a three-month Fundamentals of Fashion Design course at Parsons, where they focused on making clothing. I gained much of my sketching skills from this course and during the school year, I interned at Tommy Hilfiger to learn more about the fashion industry. After graduation, I went on to work as an Emerging Markets Trader at J.P Morgan right here in New York before working as a trader in Asia. While in banking, it was bugging me that men had beautiful and functional bags while women simply had handbags that were clearly not catered to the workplace; no attention was paid to the functionality of handbags. My goal, then, was to combine the beautiful designer aesthetic of handbags with internal functionality and build a brand around the #JEMMAGirl. Everyday for me is crazy interesting because the most ridiculous unexpected things will happen. We were doing a launch party when I first started and I couldn’t afford to hire people to stage the venue for me, so I decided to buy my own furniture and set it up myself the day of the event, thinking it won’t take me too long. Worse idea ever! Long story short, the moment I tried putting my bags on the shelves, the entire shelf collapsed! It was 2 hours before the event was going to start, I wasn’t sure if I should be crying or laughing at that moment. I had to run 3 blocks to the nearest hardware store in my event-ready outfit, ie. full makeup on, heels, cute dress to get an electric screwdriver to fix the shelves. The event turned out amazing but it was one of the craziest moments I’ve had. 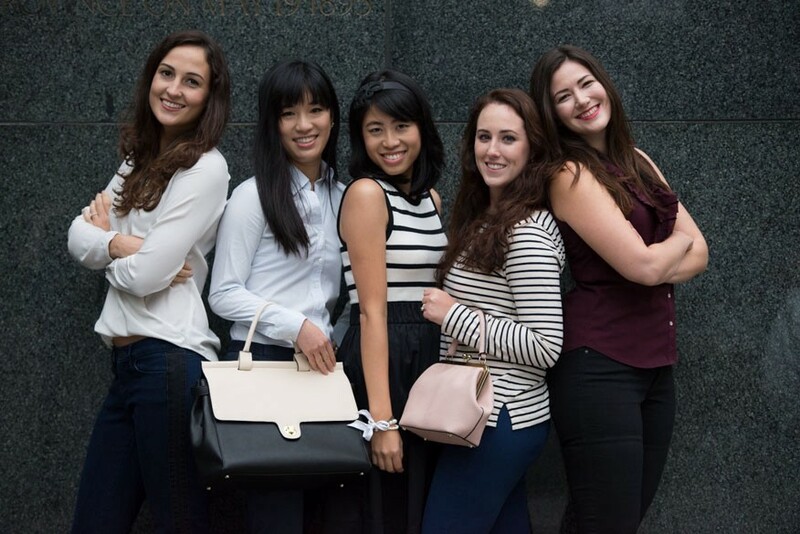 The whole premise with JEMMA is not just about our bags, it is about the #JEMMAGirl. We see ourselves as a fashion utilitarian brand, we are not about trends, we are about the customer and her needs. If she needs a Gym Bag, we will make her the best Gym Bag she will every find. With all of our bags, there is a purpose — there is a reason for existing. As the designer myself, I am all eyes on what women are doing with the bags they are carrying daily, I creepily observe and question the minute details so I can really hone in what I should be doing for our next collection. I personally review all feedback that comes to us so that I can include them and make better and better products for our #JEMMAGirls. My parents. When I first started JEMMA, like most start-ups I had more doubters than supporters. I speak to my parents everyday, sometimes for hours because they are not only my moral supporters but also my sounding board for everything I do and I know they will always be giving me direct honest feedback. I have came up with a few idea concepts that would have been total flops if not for parents. They straight out told me it was the worst idea! As the Founder & CEO of JEMMA, I have been using my voice to support causes that I deeply believe in — we’re supporting PowHER NY, an organization that is committed to accelerating economic equality for women & their families. In April, we gave back 10% of all sales from our MAGGIE Cherry Red Crossbody to POWHERNY to show our support for this cause that is so near and dear to my heart. It is going to be insanely difficult and be ready to cry many times. It is very expensive to start a business, more than you’ll ever imagine so budget wisely! You’re not going to have a life for the first 5 years, work is 24/7 365 days. It is a lonely world as the Founder of a business. Don’t take negative feedback personally, it is part of the journey.